I see it all the time, even from experienced landlords and property managers. Non-payment of rent cases constitute the majority of suits filed and many of these judgments are “redeemable.” Because a tenant can pay in full to redeem his or her tenancy once judgment is entered, there is no reason to refuse partial payments. Put simply: if the tenant makes partial payments but never redeems the tenancy, he or she still faces eviction. If the tenant does eventually pay in full, the tenancy is redeemed and the case is over. 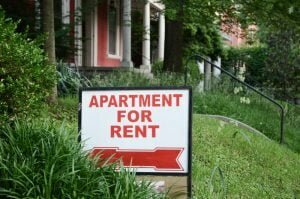 Partial payments accepted along the way may be the only chance a landlord will have to recover that rent. Yes, this can be difficult and time-consuming. But, it can also save you massive headaches, and significant expense, down the road. Whether it’s a request for repairs, a question about the ledger balance, or an incident that occurs at the property after hours – document it and put a copy in the tenant file. If the request comes in an email, save it or print it out. If it’s a letter, keep a copy. If it’s a telephone call or in-person conversation, follow up with an e-mail or letter re-stating the substance of that call. Keep all of this in the tenant file. When memories fade, or property managers and their leasing assistants come and go, solid documentation in the tenant file will be all we have to rely on. This is perhaps the most difficult (impossible?) mistake to avoid on this list, but it is also one of the most important. When it comes time to work out a repayment arrangement with a disrespectful or unpleasant tenant, remember the terms you’ve offered to other, more affable folks. Did you waive a late fee for an elderly tenant who forgot to bring a rent check in? Would you do the same for a recalcitrant tenant who enjoys making you work to collect rent each month? Do you respond the same day to the single mother with a leaky faucet, but avoid the retired construction foreman who likes to “oversee” your maintenance technician and give orders “on the job?” Treat. People. Equally. Be consistent and do not let emotions dictate your decision-making. Treating people equally may be an aspirational goal in the real world, but it’s a goal we should all work towards nonetheless. You have to do your best to convince your property owner (or yourself, if it’s you) to do the job right the first time. Water damage? Find the leak, don’t paint over it. Suspected mold? Bring in professionals to assess it and remediate it by the book. On-site maintenance has its limitations, so do not be afraid to call in a contractor to do the work professionally when it’s warranted. Look at this like a way of protecting your investment and it will pay off in the long run – whether that means fewer future visits for the same issue or as helpful evidence in court. Looking back to mistake #2, invoices, maintenance tickets, and photographs are incredibly helpful things to keep in the tenant file and those are very easy things to compile. Almost all of us are carrying high-resolution evidence-collectors in our pockets. Snap three pictures (wide, medium, close up) of a job well done using that iPhone and put it in the tenant file. Rest assured that if you aren’t taking that picture, your tenant is. Being a landlord or property manager is personal, and most people strive to be helpful and responsive to their tenants. While responsiveness is almost categorically a good thing in this line of work, it can also be risky when misapplied. As a landlord, you are dealing with the customer in their home. The customer will have questions, and he or she will frequently want a concise, black-and-white answer immediately. It’s hard for the most well-meaning property managers to resist the temptation to answer questions they aren’t truly comfortable with quickly. Get help! We regularly answer routine questions free of charge to keep our clients out of trouble, and we offer regular training seminars which are open to large management companies and individual homeowners alike. Don’t be afraid to pick up the phone or send us an email if you have a question. If you have any questions on this topic, please contact Brian Dorwin at bdorwin@offitkurman.com or 240.507.1749. 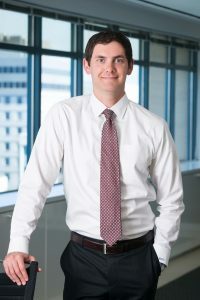 Brian Dorwin’s practice in civil and administrative litigation is focused primarily on real estate law, including residential and commercial landlord-tenant law, Fair Housing Act compliance, and regulatory compliance. Additionally, Mr. Dorwin has experience in complex construction litigation, discrimination defense, subsidized housing lease-ups and compliance, and alternative dispute resolution. Mr. Dorwin also regularly assists owners of commercial and residential properties in business licensing and other matters of District of Columbia code compliance.